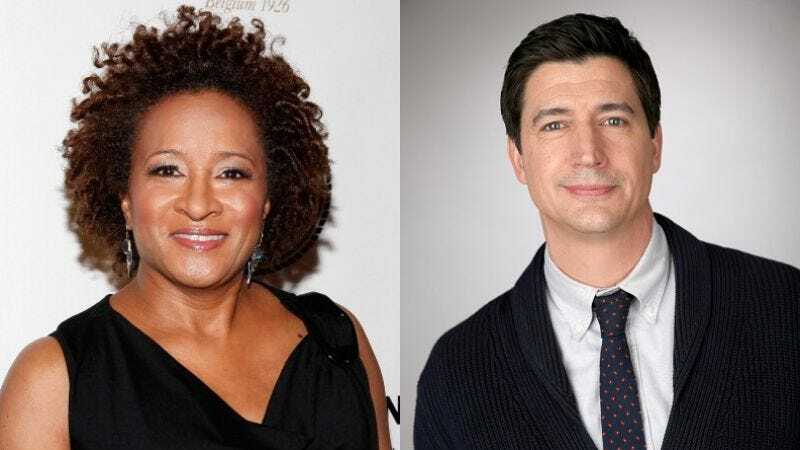 Deadline reports that Wanda Sykes (Alpha House) and Ken Marino (Marry Me) will serve as romantic complications for a couple of the main players in House Of Lies’ season five. Sykes will play a love interest named Wanda for Jeremiah (Glynn Turman), Marty’s dad. Wanda “becomes a much-needed confidante for Marty (Don Cheadle)” as he schemes to become a “global player.” Sykes will appear in at least three episodes, which is presumably about as long as it takes to make a man fall for you and earn the trust of his adult son. Marino is set to play a new love interest for Jeannie (Kristen Bell), and will have a mini-reunion with his Veronica Mars co-star: Bell and Marino previously competed for clients as the titular private eye and Vinnie Van Lowe, respectively, on the CW show. There’s no word on how many episodes Marino has signed on for, but he also recently landed a guest spot on ABC’s Fresh Off The Boat. Lest you think Marty will be left to his own devices (and single fatherhood) all season long, Deadline also shares that Nicky Whelan (of the now-defunct Matador) has been cast as his “raw food chef girlfriend,” Klare. So we guess (spoilers?) that whole Jeannie-going-off-to-work-for-Big-Pharma thing will spell trouble for the couple after all.